Mike approaches each day eager to apply the experience and knowledge he has gained over more than 25 years in the financial and insurance services industry to support and nurture the dreams and goals of the individuals, families, and businesses he is blessed to serve. Mike’s passion to ensure his clients are receiving best-in-class service and advice has led him to obtain a Master’s degree in Business Administration (MBA), as well as designations as a Chartered Life Underwriter (CLU), a Chartered Financial Consultant (ChFC), a Registered Health Underwriter (RHU), and a Registered Employee Benefits Consultant(REBC). Now as a partner of a company that has been providing servant leadership since 1939, Mike is also committed to ensuring that legacy is sustained and expanded. Mike understands his clients deserve assurances that the needs of their families will be served long after they or their advisor are gone. In addition to his professional work, Mike has always been very active within his community. 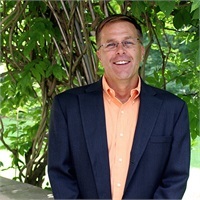 Through coaching, scouts, serving as President of St. Margaret’s School Board, serving on parish finance council, President of the Harford County Liquor Board, and numerous other charitable and political activities, Mike stays well connected. Mike and his wife, Kristy having grown up in Harford County and graduated together from John Carroll High School have been married for 25 years. They reside in Bel Air with their two sons, Michael, Jr and Preston.